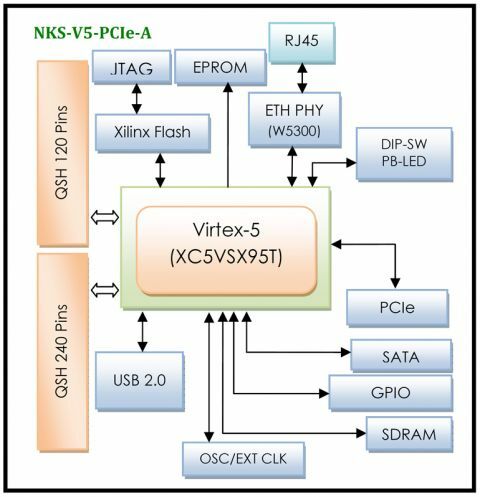 The NKS-V5-PCIe-A (SX50T) is a high performance QSH industry card dedicated to high performace data acquisition, communications and complex DSP applications based on the Xilinx Virtex-5 SX50T FPGA family and then plugged into a serial PCIe bus system unit supporting 1x, 4x and 8x PCIe datapaths. 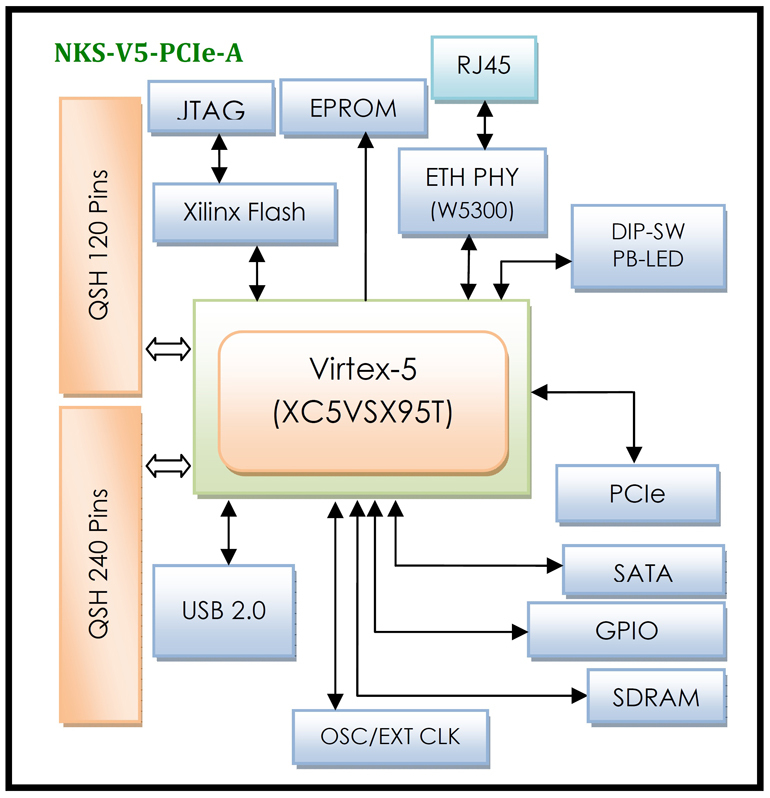 The NKS-V5-PCIe-A board enables designers to prototype high-performance, multi-gigabit serial transceiver based designs with ease. 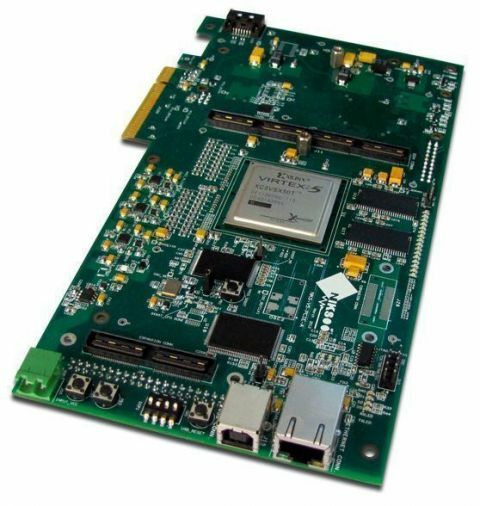 GTPs provide connection to the on-chip PCI Express x8 hard macro, and SATA II interface is suitable for high performance digital IF sampling. There is also a 4-bank QSH connector on this platform which can make a high-bandwidth data transfer channel with NIKSOO QTH modules in parallel processing applications.